A common question thrown my way involves identifying doctors and therapists who practice Vision Therapy. I have my usual “pad answer”, which sounds something like referring folks to COVD’s Find a Doctor or OEPF’s Find an Optometrist. And most importantly, find an office that works best for you. Right, but where would you take your kid? Finding a good Developmental Optometrist and/or Vision Therapist seems akin to buying a house. There’s many aspects we all need like a roof, walls, and a window or two. And then there’s the things we’d like, such as a pool, a gazebo, and someone to cut our grass every week. Like the purchase of a house, choosing an office to receive Vision Therapy becomes a matter of personal preference. Yes, all doctors and therapists will give you their best in diagnosis and treatment plan. Yes, we ALL want to help their patients by treating whatever is within our power. And yes, there are moments that we shed our cape and actually make mistakes. But just like the purchase of a house, we all place value in different areas when it comes to treatment. Hopefully my answer of find an office that works best for you now makes sense. It really is about personal preference. There are times, however, when an office, a doctor, a staff, or even another Vision Therapist, absolutely blow me away with their compassion, their energy, and their true love for their patients. Do those qualities make them better providers than the rest of us? I don’t know. What I can tell you is when people set aside their need for being “professionals”, and just find ways to lift someone else up on a very human level, it can be incredibly moving. I first met Dr. Heather McBryar completely by accident in 2009. We were both attending COVD’s Annual Meeting in Denver, Colorado and just happened to share a shuttle from the airport to the hotel. We introduced ourselves. We shared a few quick histories of our experiences in VT. We had a few laughs. We became instant friends. In my vernacular, she’s just my kind of people. In the years since, I have visited Dr. McBryar’s a handful of times to help with the training of her staff. 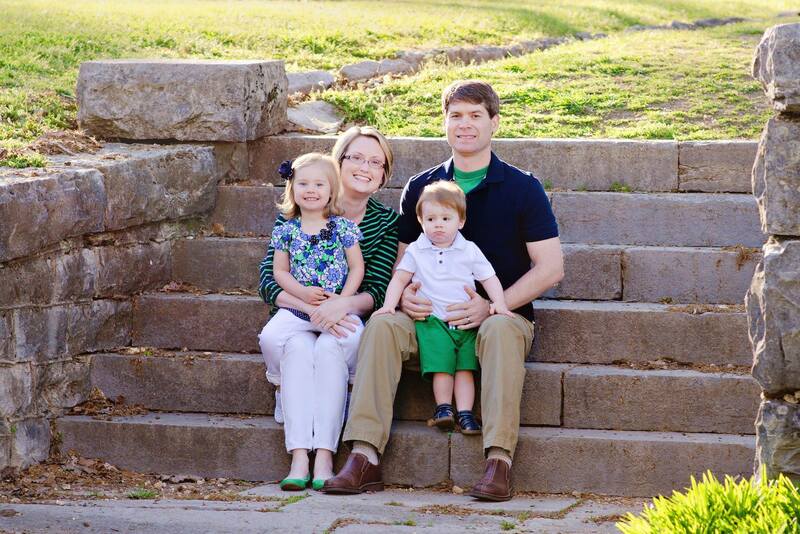 I have mentored two of her vision therapists through certification, and I have come to absolutely adore her children. Along with her husband, James, Dr. McBryar has created a nice little niche in Chattanooga, Tennessee and of all the offices I’ve visited, hers is definitely among my top few favorites. Her staff, too, not surprisingly, is also top notch, which makes every experience I’ve had with them pretty special. If ever there was a place where professionalism and friendship collide in a most harmonious way, they have created it. My last patient of the morning was so very sweet. He lives in a nursing home and never has visitors. He struggles to eat and can’t see what the food is. The food is apparently terrible and he mentioned that he hasn’t eaten a steak in over 4 years. Well, sweet patient, today is your lucky day. Don’t worry that you’re missing lunch at the nursing home to be here with me, because lunch is on its way. Today you will enjoy steak, baked potato, and salad on me. His first bite of salad he said, “oh my God this is amazing. 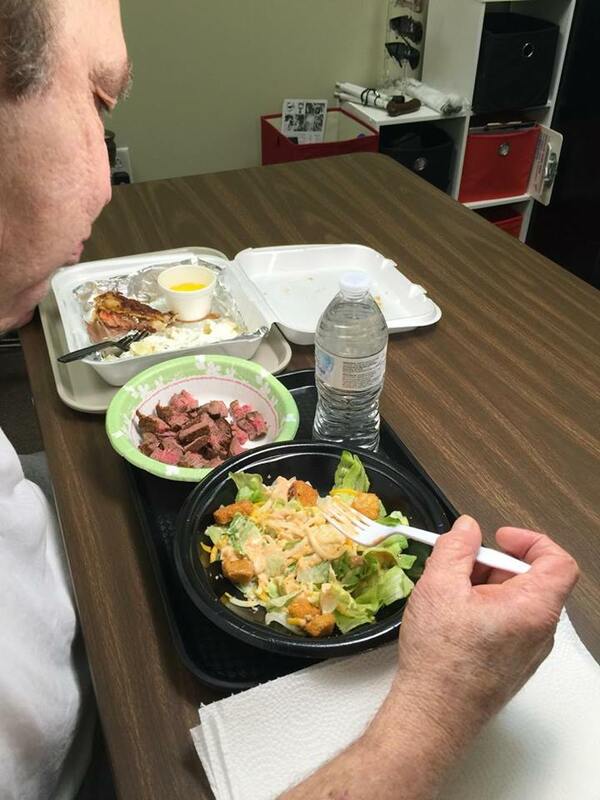 I haven’t had a salad in years.” Before he left he thanked me and told me that steak and lobster (I treated him to the lobster tail too) were better than he remembered. So happy and sad for him all at one time. So much of what we do in Vision Therapy is entrenched in human interaction and language derivation, be it verbal or non-verbal. Our proverbial pathway for success is an avenue through the visual system, sure, and as so many of us have noted while explaining Vision Therapy, patients “are not just a set of eyeballs that walk in the room”. Lest we forget, such a proverb is a two way street. Our patients are not just a set of eyeballs which need fixing. Rather, there’s an entire person in there, and as Dr. McBryar demonstrated, sometimes the best move we can make for them has nothing to do with their eyes. It has everything to do with just being human. Posted on May 30, 2016, in From My Perspective.... Bookmark the permalink. 4 Comments. What a beautiful blog. I agree. Dr. McBryar is s very special individual and practitioner. Caring is very important to success.